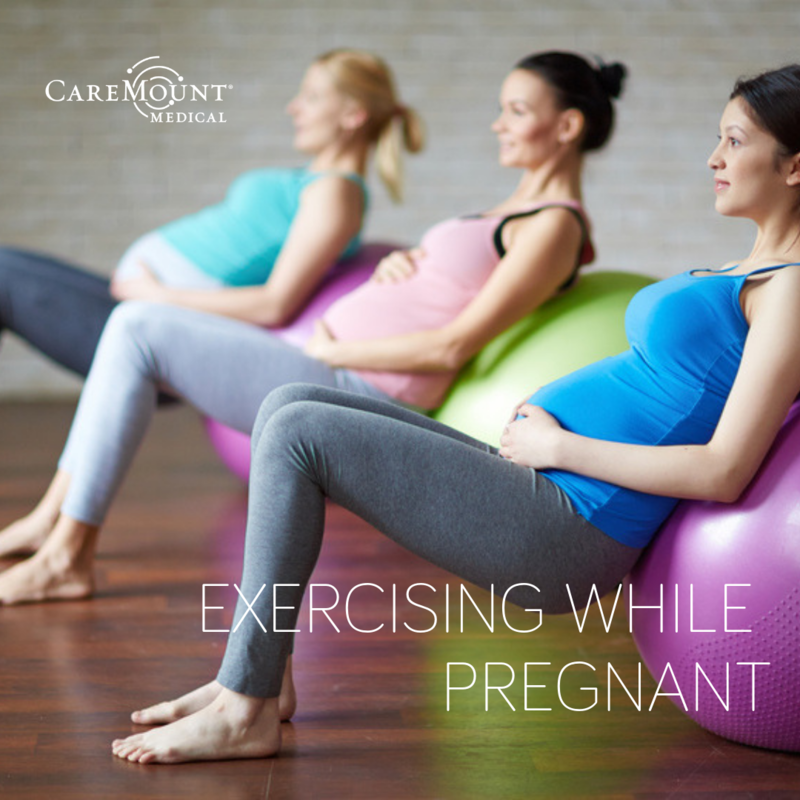 Two common questions first-time expectant mothers often ask are: “Is exercising safe during pregnancy?” and “Should I be exercising while pregnant?” The short answer is yes. Women who exercise in pregnancy tend to have less weight gain, easier labors, and better recovery. They also decrease their risk for high blood pressure and diabetes during pregnancy. Strains and Sprains: While pregnant, your hormones can make your ligaments softer, making it easier to injure a joint or your lower back. Nearly all pregnant women report some degree of back pain during their pregnancies. If you use a treadmill, it should not be placed on an incline in order to prevent excess strain on your lower back, ankles, and knees. It’s also recommended to avoid exercising with free weights as there is potential to over extend a joint if the weight is too heavy. If you wish to continue strengthening exercises, try using resistance machines which are a safer alternative because they avoid extending the joints, when used properly.